This Linen Ribbon with a Checkered Wired Edge add a bit of country to any project. 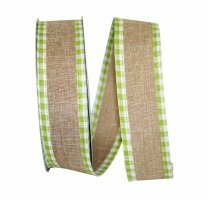 This Linen Ribbon features a Wired Edge making it perfect for ideal for floral arrangements, wreath & so much more. The Ribbon Diva a vast selection of Linen Ribbons in a variety of styles, colors & widths! 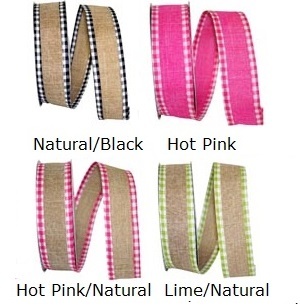 ....Please select Black/White Hot Pink Natural/Black Natural/Hot Pink Natural/Lime Red .